You are invited to embody the FEMININE WISDOM… the FEMININE UNIVERSAL MATRIX within and all around you! Here is your opportunity to transform your whole life… step into full FEMININE EMPOWERMENT, learn the secrets of Healing, Self- Realization and full FEMININE EMBODIMENT. Fully step into your uniqueness and unfold the gifts you have in your SOUL! We are living in a world that is transforming as we speak… and every woman that has felt different, that has felt that she didn’t belong… that has felt somewhat unique and out of place… has been by design… because that very DIFFERENCE is exactly what is needed to heal ourselves…. and our world at this evolutionary time. The world is waiting for your UNIQUE HEALING GIFTS… that you carry in your Soul IMPRINT. Are you ready to listen to step into the TRUTH of your LIGHT and bring your healing gifts to the world? The Conscious Feminine Mastery and Certification Healership program are based on the principles of ‘Conscious Feminine Medicine’ which is a unique Universal Feminine Matrix Healing system including lost teachings of FEMININE WISDOM, ancient mystical healing teachings of traditions of Daoist, Vedic & Sufi lineages, along with Quantum medicine principles. Discover how to embody and live the true expression of your UNIQUE Soul’s LIGHT & Destiny Imprint – which is connected with your life’s purpose. Clarify your greater purpose and how to move forward bringing your Healing gifts into the world. Breakthrough your glass ceiling of your financial limitations into financial empowerment. Stop the insanity of the inner judge, critic, shaming, rejection, inadequacy and playing small collective pattern of the Feminine. Unravel the conditioning patterns in your BODY~HEART~SOUL that have kept you in struggle, unhappy and powerless in manifesting your greatest dream. Breakthrough the pattern of giving up on your dreams. Learn practical tools to help you to be the ‘change you want to see in the world’. Discover the 3 Key Wounds of the Feminine… and how to heal them in yourself and others. Desiring to become the HEALERS you know you are! Feeling the deep urge to step up and make a change in the world. Ready for a new paradigm shift that includes the FEMININE MATRIX! A 9-12month Immersion program for all WOMEN, healers and leaders… desiring to reclaim their FEMININE POWER, ready to stand in the Sacred Power of their Feminine, and become the Healers and Guides to give birth to the Global Evolution of the Feminine Soul! If you are a woman, that knows in your Heart & Soul… that you are here to make a difference in our World… and help other women awaken; then stepping into your own power as a woman is the path to reaching your Soul’s Destiny! Empowering yourself and discovering the true expression of your Soul’s LIGHT is how you can EMPOWER OTHER WOMEN and AWAKEN THEM to the FEMININE consciousness that is emerging at this time. The Conscious Feminine Healership certification program allows you to step in more fully as a FEMININE HEALER, healing yourself and others in the world through the principles of Conscious Feminine Medicine. Receive personal healing & mentorship, along with specific techniques from Dr. Murciano. Discover the SOMA PRESENCING™ technique in order to embody more of your Light ESSENCE consciousness. Journey through the 3 Sacred Feminine Initiations to heal & awaken to the Conscious Feminine in your Body & your Soul. 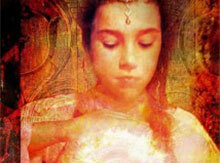 Receive the Conscious Feminine Matrix Activation and transform struggle in your BODY~HEART~SOUL. Master the 3 collective and personal wounds of the Feminine; Powerlessness; Shame & Abandonment, which have created pain & suffering on all levels. Breakthrough your Scarcity patterns and open up the Flow to Abundance. Embody the Trinity of the Conscious Feminine– POWER~LOVE~WISDOM. Explore Sacred Witnessing and heal the collective wounds of the women in your lineage backwards and forwards 7 generations. Empower yourself with your own Conscious Woman Manifesto. Explore the ability of transmission and healing from the soul level. Understand the Feminine Power in your Sacredness and change the collective story of the Feminine for yourself and others. Learn the secrets of the Feminine and how to awaken the Feminine soul within you and within the world. Transform the disruptive effects of the Feminine wound in your Female Biology; reproductive, endocrine glands & immune systems, nervous system & more. Experience & Understand your subtle anatomy of Power Centers and quantum fields of emotional, mental & soul bodies through our SACRED WITNESSING & mystical cultivation practices. Awaken to your True Nature of Light through Sufi practices of Universal Qualities. Reconnect with your Guiding system of Inner Feminine Wisdom & Gnosticism. Realize your unlimited flow of Joy, Peace and Love in your life. Align yourself with the Creative Feminine force of the Universe and the 5 UNIVERSAL MOTHERS. Decode the messages in your pain body that allow you and others to heal. Learn to EMBODY the UNIVESAL QUALITIES in your physical body. Realize that you are the MEDICINE that you have been waiting for! Discover the ancient secrets that have only been channeled through mystics and sages of our time and how to learn on the edge of that mystery. and watch the Birth of your True Soul Light! This program is for women healers, practitioners that are ready to step out of struggle and embody their Unique True Expression of their Soul LIGHT in this lifetime, discover their healing gifts and open up to their soul’s destiny, while breaking free from the collective and personal story. This program is for women that deep in their heart know that it is time to step into the PATH of being the change they want to see in the world… women that are ready to take responsibility for raising the consciousness on the planet… and taking their rightful place in the healing of the planet. These women instinctively know that they were born to amen a difference in their lives and bring healing to those around them in some unique way. Discovering our unique Soul Light and dissolving all the barriers and wounding that stands in the way, is the entry into embodying the higher levels of consciousness available to us in this Aquarius Age. Conscious Feminine Healership 1 program is designed for Women Leaders and Healers that are passionate about walking/deepening the path of Healership and embodying the deeper levels of consciousness, in a combination of mysticism, quantum integrative medicine and somatic experience, all through a Feminine Matrix format. Developing Gnosis, opening of the Inner realms, LISTENING and perceiving. Opening of the eye of the Heart, eye of the Soul. Personalizing your individual cultivation practices needed as a healer. Opening the 4 secret layers of the HEART. Understanding the Subtle bodies and the relationship of the manifestation of these realms though the principles of Quantum medicine. Understanding the opening of the 28 stations. Sophiatic Christos… understanding the feminine and masculine qualities on the soul, mental, emotional, physical and spirit level. Therapeutic healing effect of duality and unity levels of being. Therapeutic healing effects of movement and stillness. Developing your inner sight for yourself and others. Understanding the esoteric and metaphysical meanings of BODY~HEART & SOUL levels. Learning about the 5 elements and 5 breaths within the Feminine Embodiment of the 5 Universal Mothers. Understanding the Universal spiritual laws of the Universal qualities. Lesson modules PDFs protocols of Conscious Feminine Medicine13 pillars. Lesson modules PDFs of the Universal Mothers Protocols. Lesson modules PDFs of Birthing Conscious Feminine Medicine and the specific wounds. Monthly assignments and feedback weekly. You will experience 5 Sacred Initiations for healing your collective and personal wounds of the Feminine. In-depth exploration of Daoist, Vedic Yogic, Somatic, Sufi and Embodiment principles. Recordings of each call, in case you can not attend live. CFM Healing BOX: 11 Healing essential oils, NSEV acu cords, silk pillow, prayer beads, Conscious Feminine Notebook, Conscious Feminine Canvas Bag. Group meets 3 weeks per month via LIVE WEBINAR interaction sessions 90-120 minutes calls. 1 Conscious Feminine Activation Call. 1 Conscious Feminine Wisdom Call. 1 Conscious Feminine Healership Call. Paired up with practicing partner. 3 (one on one) 90 min private SOMA PRESENCING healing sessions. 2-3 day in person Conscious Feminine Immersion Group Retreat – A three-day retreat in South Florida w/Beach & ritual with Group Healing and personal treatment sessions for each. 1 (2 hour) personal Creative Signature Mapping session which includes tuning in to your greatest vision and strategizing how to bring that out through direct experience, astro chart placements, mind set and Conscious Feminine activation. PDF Conscious Feminine Healership Handouts. Dr. Leonor Murciano is a Spiritual Healer, Visionary Mystic, Integrative Doctor & Author of Feminine Wisdom: Rise of a New Creation. She is the founder of School of Conscious Feminine Medicine and has spent the last 20 years helping women to awaken to the real medicine of the soul by reconnecting with their true Primordial Essence. After recovering her lost memory of a near death experience, Dr. Leonor Murciano realized that the Divine all encompassing love that she experienced, is available right here, right now, within us, and it is also the source of all Healing. She has dedicated her life to helping women step into the truth of their being, heal their disconnect in body/spirit and also actualize their healing gifts through the teachings of Conscious Feminine Medicine. As the founder of School of Conscious Feminine Medicine, she offers programs for women, healers and leaders that are ready to step into the new UNVERSAL FEMININE MATRIX and collectively create a new consciousness paradigm of UNITY consciousness within themselves and the planet. She offers programs for Conscious Feminine Mastery, Conscious Feminine Healership Certification and Feminine Mystical Guides all based on the principles of Conscious Feminine Medicine. If you are ready to step into your Feminine Healership Power and manifest your Destiny … start by booking a Feminine Exploration Session with Dr. L. Murciano, to begin an exploration of what is possible for you! Secondly you can also email us below to apply for the program. ‘BIRTH OF CONSCIOUS FEMININE MEDICINE’. The Conscious Feminine Programs are based on Dr. Murciano’s upcoming book, Birth of the Conscious Feminine Medicine. The teachings will incorporate core elements of the chapters summarized below. From where we stand- Its half the Story. Collective Story of the Feminine. Healing and the Evolution of the Feminine. Birth of Conscious Feminine Medicine ~changing the collective story of the Feminine introduces the notion that our world and especially women have been under the spell that has lasted over 5000 years, which at its very core has disconnected us from our sacred Essence of the Feminine. This rejection of the Feminine has created an illusion of fear, shame and powerlessness that continues to disrupt not only our spirit but also our bodies. This is the old collective story of the Feminine and the time has come for the creation of a new story of the Feminine, through the principles of Conscious Feminine Medicine ~changing the collective story of the Feminine. The pervasive Fear that has resulted from the rejection of the Feminine is discussed as the underlying culprit of much of our suffering; emotionally, spiritually and especially evident in the rise of physical epidemics in women’s health which she terms 1st world female disorders; thyroid and adrenal issues, anxiety, depression, infertility, reproductive and autoimmune diseases to name a few. These imbalances are a direct cry from our feminine body to address the split and the suffering that has been passed on from generation to generation for the last 5000 years. Dr. Murciano delineates how this rejection has further created the collective three wounds of the Feminine; Shame, Powerlessness and Abandonment, which are still operating within all levels of our consciousness. But there is hope, every dark episode carries the potential within it for transformation, renewal and rebirth and this is exactly what our task is personally and globally at this time. What are the Feminine & the Masculine? The perfected human being is common amongst most mystical paths, and it is the flowering union of the inner duality of feminine and masculine within us. It is the representation of the inner marriage and the longing in our soul. Understanding the union within helps us to begin the inner process of embodying the qualities and understanding that we have everything we need on the inner through this very union ~body and soul, feminine and masculine, physical and spiritual. One without the other continues to perpetuate the suffering in our being and in our bodies. Understanding how to answer the yearning in our hearts and fulfill ourselves through union is the first step in healing our history and our soul. Changing the Story via Resonance/Frequency and Vibration. It’s important to honor the unseen as much as the seen. Most of us have a limited view of who we are, usually restricted to only the physical body that we see. Understanding who we truly are and the role consciousness plays is key in shifting our illusory perceptions of self and transforming the old patterns of oppression. Dr. Murciano unravels the Quantum concept of consciousness in relation to our subtle bodies, morphogenetic fields, patterns of conditioning and spiritual alchemy to expand the awareness and understanding of what and who we really are. At the core, even our DNA can be altered through the vibration and frequencies that we choose for ourselves. This chapter starts to empower us by the expansion of a new understanding of who we are and the interrelationships of consciousness and form. Women carry the healing within their being, through their direct access to the Feminine within. But as previous chapters show, women have been disconnected from their own Essence and rhythm. Beginning the process of healing this split that seems so uncompromising starts with recalibrating our being and bodies to the inner and outer cycles of the Feminine by embodying the 5 elements of the Feminine and reclaiming union with the 5 Mothers. Using the collective wounds of the Feminine as our opening into the forces of the MOTHER begins to awaken the life force within our being, restoring the foundation of the Feminine within us. Consciousness is our Essence- Enlightment is not a destination. Once established in a new reality of the Feminine and with new possibilities, we come to our first initiation of the Feminine, Conscious Feminine Light allowing us to anchor in our sacred essence of light within. Through a synergy of contemplation and cultivation practices we begin the rewiring of our being and our knowing through Sufi Light Invocations, and Anointing rituals with the frequencies of essential oils. Furthermore, we continue the exploration of Conscious Feminine alchemy through ancient healing rituals of breath, sound and realignment with the perfected state of morphogenetic fields. From this point forward, the information in these chapters are not only theoretical but also offer practical protocols as to how to access these processes on your own and create a new reality. The second initiation of Conscious Feminine Sacred Power is where we begin to work with the collective and personal shadow wound of the Feminine: powerlessness. The collective oppression of the Feminine has created deep conditioning patterns that have stripped away our sense of power by demanding women to surrender to false power outside themselves in order to survive. As we transform the wound of powerlessness we initiate the freedom and safety within and activate our sacred power. Through Sacred Witnessing, exploration of extra vessels and other cultivation practices, we begin to regain the true power that has been hidden in this wound of the Feminine. Resurrecting the power in our Sacral Wombs. The third initiation –Conscious Feminine Body moves us into the collective wound of shame in our sacral power center and our personal womb. This is the place where most women have rejected their own sexuality and life force, living with endless patterns of shame in themselves and destructive pervasive hatred of their own feminine bodies. Reclaiming our Virginity is all about recognizing the purity of our sacred Essence and reclaiming our physical form (body) as an extension of that sacredness, making our flesh holy as well. Our virginity is not something that we can lose depending on our behavior or the condemnation from outside sources, as religious reform has had us believe. This sacred Essence moves through us as life force which is at the core of all creation, and which we also experience as sexuality; all part of the same sacredness with no original sin. Reclaiming our virginity is what gives birth to all the possibilities of life’s manifestation deep in our sacral wombs. The initiation of our Conscious Feminine Body frees us from self deprecating shame, that has kept us locked into suffering and allows our sacred life force, sexuality and pleasure principle to become the guiding force of aliveness within. Rewiring Trust in our Body. The illusion of separation from Source is one of the greatest wounds and deepest source of fear and terror that women carry in their being. The 4th Initiation of the Conscious Feminine Cosmic Womb allows us to transmute the shadow of abandonment, terror and fear of separation, allowing us to dive deeply into the darkness of the Cosmic Womb of the Mother, where we heal the illusion of separation and rewire our deep trust and protection with all aspects of the MOTHER and the Feminine. By facing our deepest darkness, we are able to completely surrender all illusions and allow the experience of our suffering to serve as the initiation into the deepest mystery of the Feminine herself. Transcendence of Duality into Unity consciousness. Facing our inner feminine and masculine. NSEV Yang & Yin Wei; Ren & Du. This chapter will revisit our initial theme of Union on our journey towards the perfected human being. Now that readers have more insight and awareness of their inner world, we present the varying factors of reuniting the masculine and feminine within, thus creating the ultimate marriage of dualities and the 5th Initiation of Conscious Feminine Union. We visit the place in consciousness where the two become one. It is possible to taste this union and discover the sweet secret that has been buried in our being, since the beginning of time. The Sufi’s have a saying that suggests that the greatest treasure of all was hidden in the less likely place that humanity would look: in our own hearts. From this state of union, we continue the Conscious Feminine alchemy of transcendence as we unite seemingly opposites paradigms on the inner and outer levels. What does our ongoing journey of Conscious awakening look like? Continuing to feed our light, nourishment for our Soul. Reactions as a sign of our souls growth. Continuing To expand our definition of who we are. Paths of the Ancient Feminine Mystics. What’s possible: Transformational stories of real women. Now that we have walked through the Initiations of the Conscious Feminine and loosened the collective wounds within ourselves, how do we integrate it in a world that seemingly does not honor or make room for the sacred? The answer is simple, yet challenging. We become the keepers of the light by stepping into our conscious awareness of the truth of who we are and commit to the remembrance of that in ourselves. As Mahatma Gandhi said, “ become the change you want to see in the world” and so it is our inner work of transformation that creates the possibility of the resurrecting the sacred Feminine within ourselves and into our world. By our presence of the Conscious Feminine within each woman, we begin a wave of consciousness that continues to inform the creation of form on the outer and thus our world. If the outer world is a reflection of our inner world, as so many mystical teachings have pointed to, then the only real work is within our own consciousness. This chapter details how critical and valid the awakening of just one person is to the whole and how live consciously present of the truth, until the outer world catches up to us. We are the healers, we are the MEDICINE, and we are the agents of change. This chapter gives us the possibility of what the journey of awakening looks like and how the alchemy of the soul continues onto the personality and further into higher and higher levels of awakening. The evolution never stops, but what does change is the powerlessness and fear that has been informing us all along, because once we awaken to its illusory nature and stand in our Sacred Power, we no longer can be a victim. Life itself wakes up within us, and the journey is never the same. We are able to return to the sacred place of LOVE, POWER and WISDOM within, even when we drift away because now the Feminine is conscious in your body, heart and soul. We are able to continue to cultivate the Conscious Feminine Union within until it overrides all the old paradigms of fear that were once our reality. Thus, the mystery of the Feminine is now woven into our consciousness, reflecting our inner world onto our outer world. The result? Women initiating the change of the collective story of the Feminine, from one of oppression and suffering to one of empowerment in our Sacredness! As the Dali Lama stated; the western woman will save the WORLD.